Here we’ve compiled a list of three excellent sandwich spots less than a mile from Trinity Place in SoMa. These may not be the only gems in the area, but they’re so good, you won’t have to look any further. Adam Mesnick started Deli Board as a catering business and quickly evolved to a brick and mortar with a cult like following. Try one bite of their ginormous “meant to intimidate” sandwiches and you’ll see why. The Menu, or board, changes regularly with fresh, locally sourced ingredients. Ponder the clever names while you wait. You’ll also find soups, salads and other items, like chicken wings, making a regular appearance. 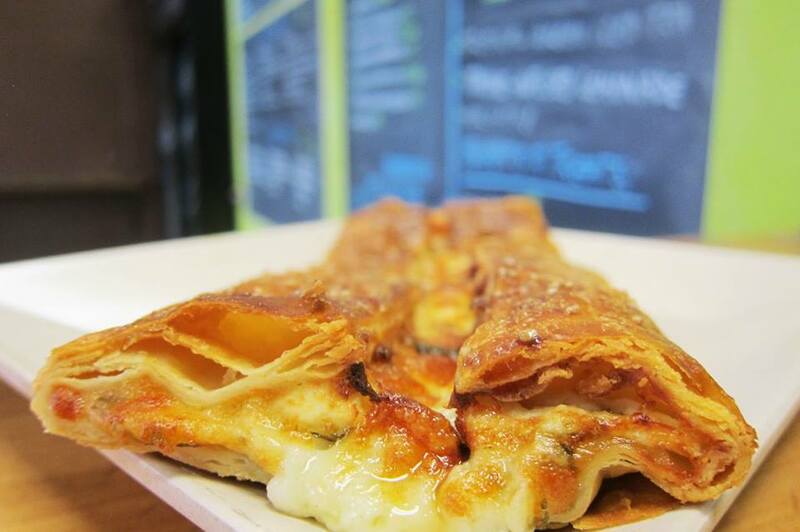 The menu is updated regularly online but you’ll have to go in person, no phone-ins. Seating available. Often playing the music loud and providing service with a sort of gruff friendliness, this scrappy soup, sandwich, and salad spot on edgy Sixth Street has been satisfying regulars including nearby tech workers and residents alike with fresh ingredients and menu items that surprise daily. While the namesake may hint of their delicious soups, they offer exceptionally creative sandwiches like braised pork with mascarpone and tomato sauce. Don’t miss their take on savory crostatas! Phone in and catering orders available. 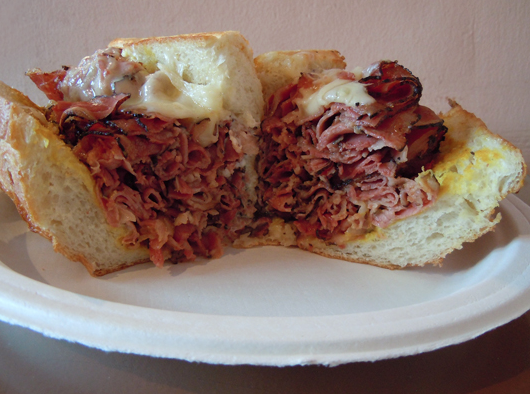 Home to Tony’s Hot Pastrami may be the best Pastrami sandwich SF has to offer. Sliced thin over your choice of bread, consider a sweat wheat roll. 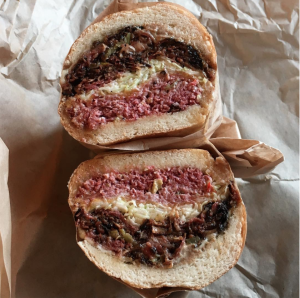 This place has built its loyal following with over 21 years slinging good eats in SoMa. Not only that, they’re environmentally conscious, going green well before it was cool. Can’t get off the couch? AK Subs will deliver to Trinity Place between 11am and 2pm. Being a resident sure does have its perks! Looking for a San Francisco apartment in SoMa? Trinity Place is a brand new building just steps from tech bus stops and The Orpheum theater on 8th and Market Street.